GSMArena team, 08 July 2016. Whether it's "soda lite" or "flagship lite," people are more sensitive of the list of ingredients than ever before. So, what's a Huawei P9 made of and will it taste the same without the secondary black & white camera and with less metal on the body? The Huawei P9 lite boasts the same design as its pricier sibling, but only the frame is metal this time around, the back is smooth polycarbonate. And yes, the 12.3MP Leica dual camera is gone, replaced by a more casual 13MP shooter. There are some more technical differences which we'll cover later, but if neither camera can record 2160p video, is this a massive downgrade or something you can live with? Of course, we're not watching our waistline with this diet, but instead our wallet's - specifically, we'd like it to stay nice and full. And a near 40% price cut is just what the doctor ordered. 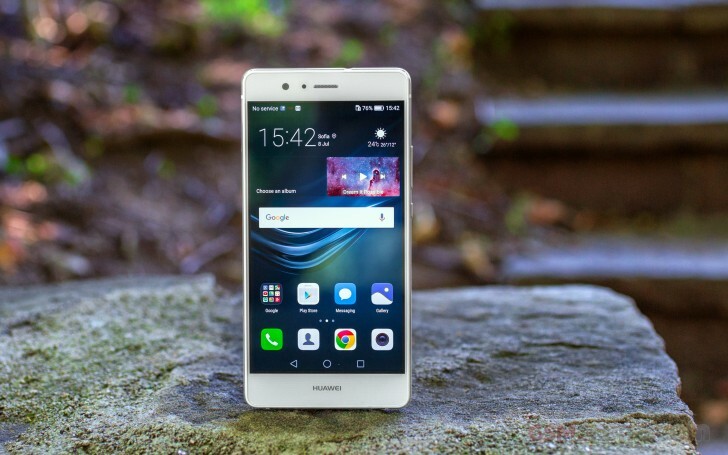 An untrained eye may miss the differences between the Huawei P9 and P9 Lite specifications. You'll see the chipset still has eight CPU cores, but they are all A53 now, and the GPU has half the cores. Also, there's no 4GB option for RAM and you start at 2GB, while 3GB is extra. Then there's the camera downgrade and also some connectivity has been dropped (e.g. USB Type-C and 5GHz Wi-Fi) and there's no fast charging for the 3,000mAh battery. Still, battery capacity is unchanged and the FullHD screen seems the same. The 8MP selfie camera actually sounds better as it has a brighter aperture. We're starting to taste a deal. However, a wise shopper does due diligence first, so let's get on with that - will the Huawei P9 lite pass the Pepsi Challenge or can consumers taste the difference.